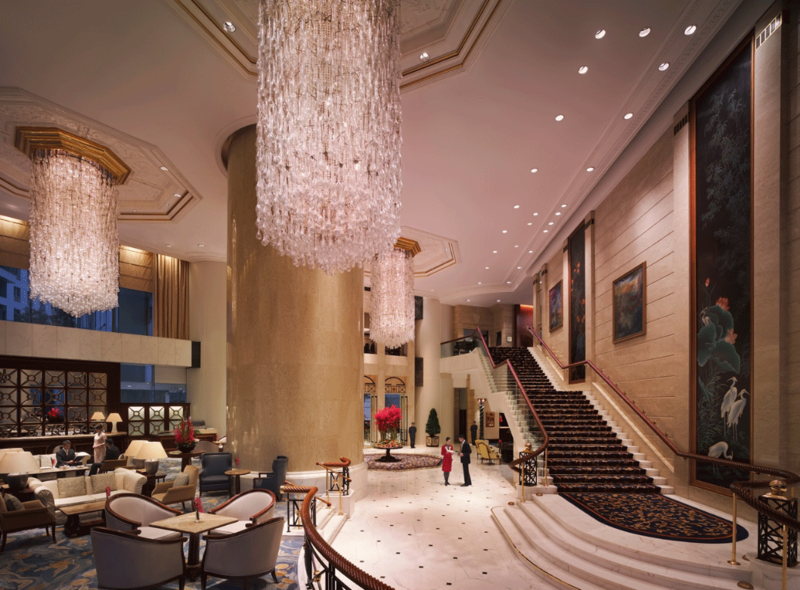 Island Shangri-La is part of Shangri-La Hotels and Resorts, Asia Pacific’s leading luxury hotel group that manages 81 hotels under the Shangri-La brand with a room inventory of over 34,000. 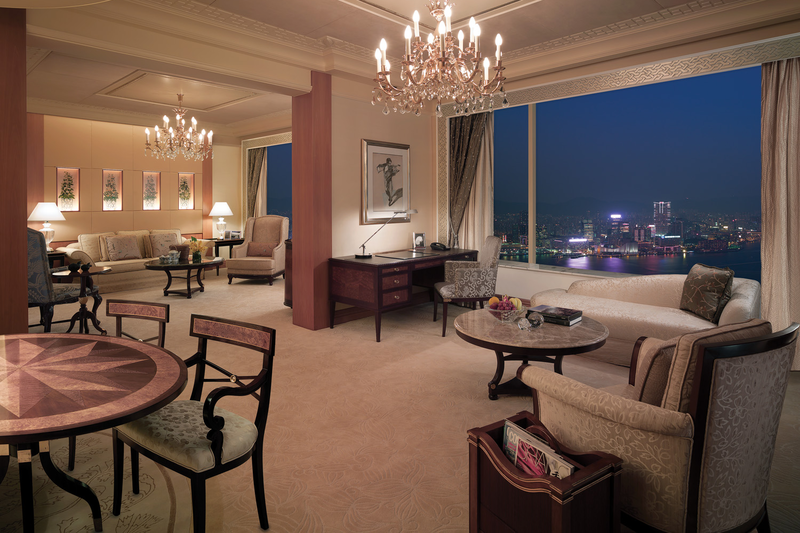 Shangri-La hotels are five-star deluxe properties featuring extensive luxury facilities and services. 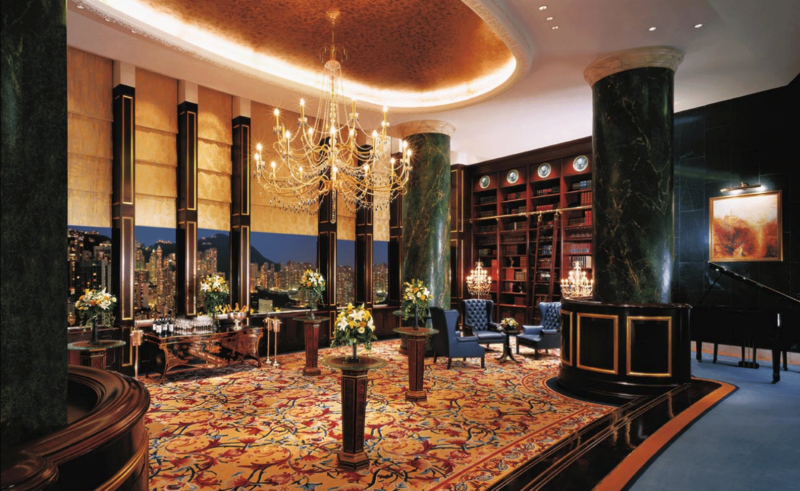 Shangri-La hotels are located in Australia, Canada, Mainland China, Fiji, France, Hong Kong, India, Indonesia, Japan, Malaysia, Maldives, Philippines, Singapore, Sultanate of Oman, Taiwan, Thailand, Turkey and the United Arab Emirates. The group has a substantial development pipeline with upcoming projects in mainland China, India, Mongolia, Philippines, Qatar, Sri Lanka and the United Kingdom. 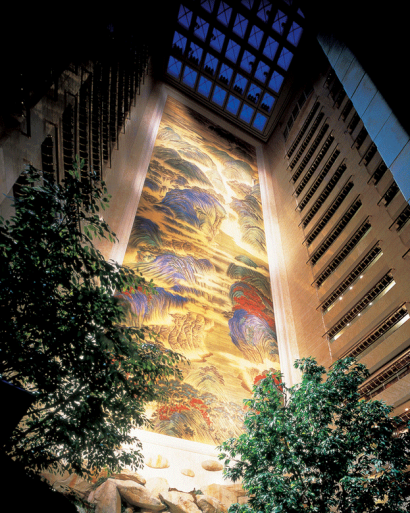 Island Shangri-La, Hong Kong was open on 1 March 1991. Island Shangri-La features opulent interiors that combine select oriental touches within a classic European theme. Key to creating the total look is the choice of materials and many months of research have been dedicated to just that. 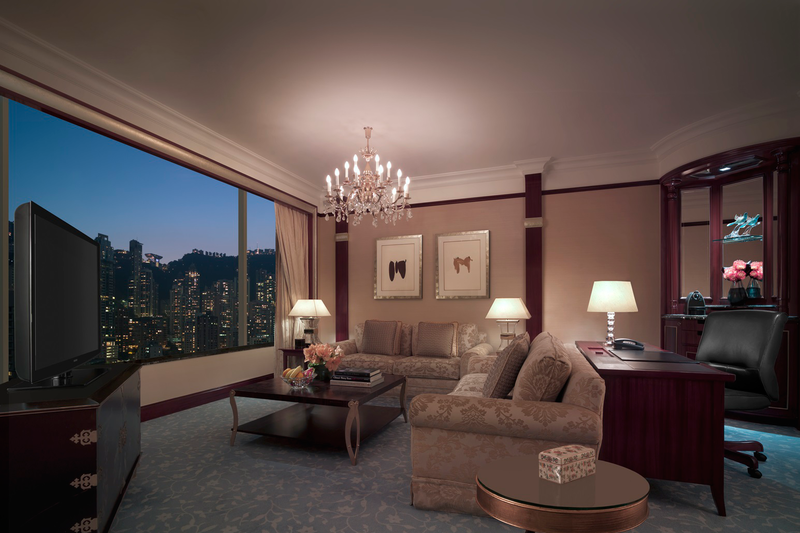 All guestrooms and suites are appointed with Asian-accented European furnishings, the latest conveniences, and command magnificent views of the Peak or Victoria Harbour. Our signature tower is a gleaming architectural jewel containing over 770 chandeliers and 900 artworks, including the world’s largest indoor Chinese silk mural, The Great Motherland of China, which measures 16 storeys tall and can be viewed from levels 41 to 56 of the hotel. 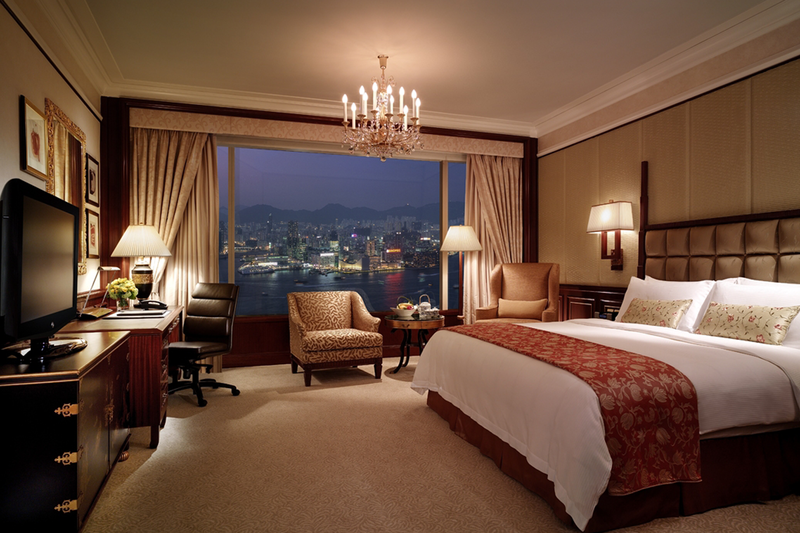 Island Shangri-La comprises 531 spacious and luxurious guest rooms and 34 expansive suites. Exquisitely appointed with Asian-accented European furnishings, all rooms and suites feature the latest conveniences, and command magnificent views of the Peak or Victoria Harbour. Dedicated Horizon Club rooms offer an enhanced level of service include access to the Club Lounge, complimentary refreshments throughout the day, evening cocktails and champagne as well as continental breakfast at the Club Lounge or other breakfast options at Restaurant Petrus. Located on level 56 of the hotel, the Horizon Club Lounge is the highest executive lounge in the city with picturesque vistas of Victoria Harbour and an outdoor landscaped area, which is the only venue of its kind in Hong Kong. 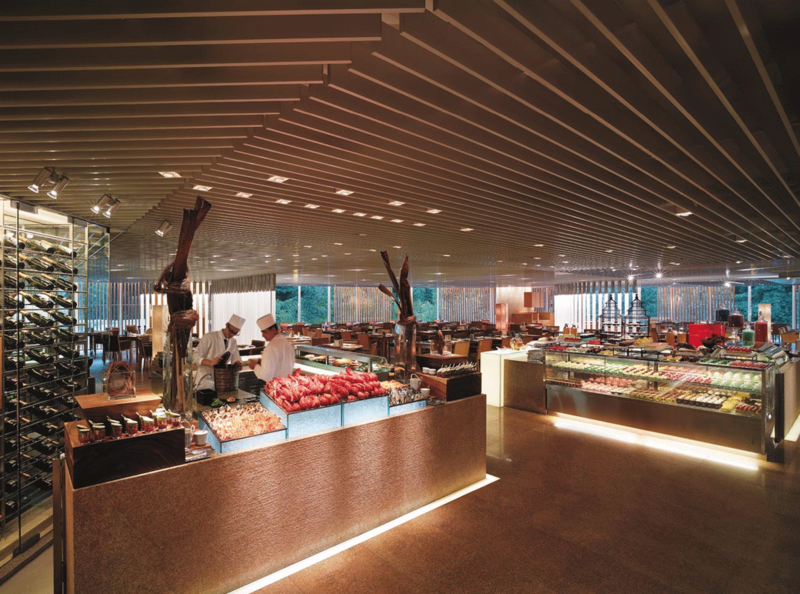 The innovative cafe TOO brings casual dining to a higher level of creativity. Eight cooking theatres, each featuring a different culinary style, showcase the best of international cuisine as well as of becoming gastronomic stages for the chefs’ engaging performances. 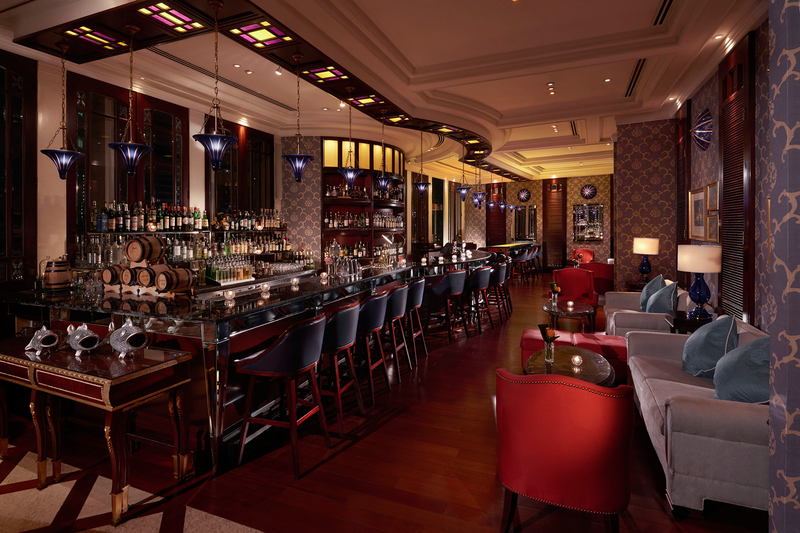 Guests can enjoy an evening cocktail at the Lobster Bar and Grill, which offers an innovative dining menu and a vibrant social ambience with live performances six nights a week. Since 1830, the famous group of restaurants known as Nadaman has been treating discerning diners in Japan to fine kaiseki cuisine. Here in Hong Kong, Shangri-La had the privilege of creating the first Nadaman outside Japan, and the elegant presentation and delicate tastes that comprise this historic dining tradition have attracted patrons ever since. Perched high above the city with breathtaking views of Victoria Harbour, Restaurant Petrus epitomises the highest standard of excellence in French cuisine, and it includes a wine cellar that features one of the most extensive wine lists in Asia. 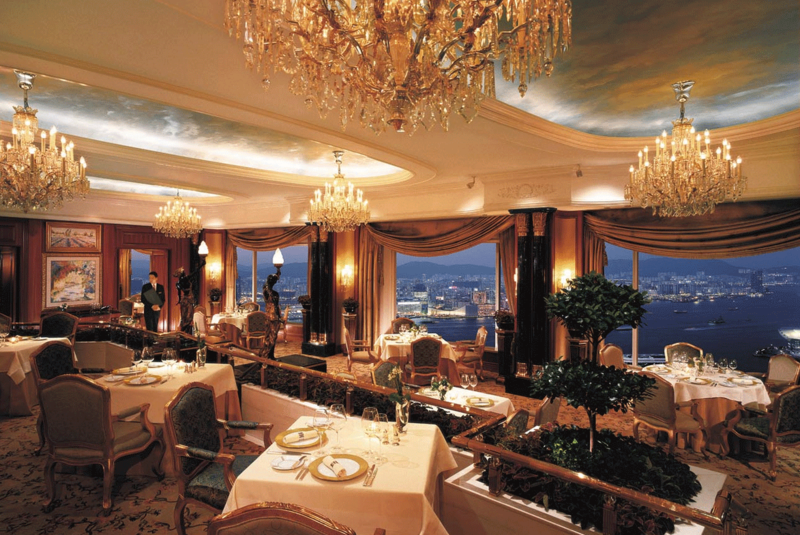 To complement the restaurant’s cuisine is its interior of opulence and extravagance, accentuated with richly folded drapery, impressionist oil paintings, murals and crystal chandeliers. 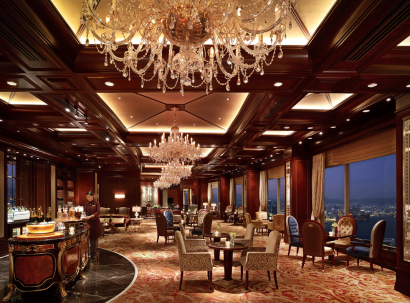 The restaurant’s dome-shaped ceilings feature surrealist paintings of cloudy blue skies and galloping horses, reminiscent of traditional European dining rooms. At the Michelin-starred Summer Palace, the best of Cantonese cuisine is presented by the accomplished chef Ip Chi Cheung with refined gastronomic skill. On entering the restaurant, guests are greeted by a large carved screen with a mythical scene of golden phoenix soaring in the clouds. 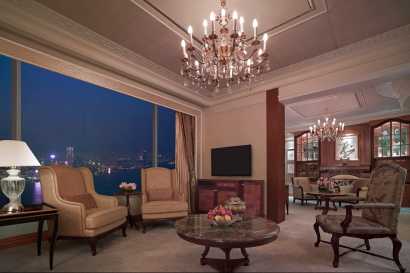 The characteristic gold colour tone is adorned with the lively butterfly motif on the silk wall panels, mirrors covered with cloud-shaped ornaments and exquisite Chinese paintings. The casual and cosy alfresco Waterside Terrace, beside the outdoor swimming pool, has views of the verdant heights of Victoria Peak and some of the city’s famous skyscrapers. It is an ideal venue to enjoy Thai and poolside favourites as well as exotic cocktails whilst relaxing in the sun. Island Shangri-La’s luxurious health club and swimming pool offer a range of professional services and facilities to cater for health-conscious travellers with a selection of health and beauty products for sale. Conveniently located next to each other on level eight, the health club and swimming pool are available to club members as well as hotel guests.